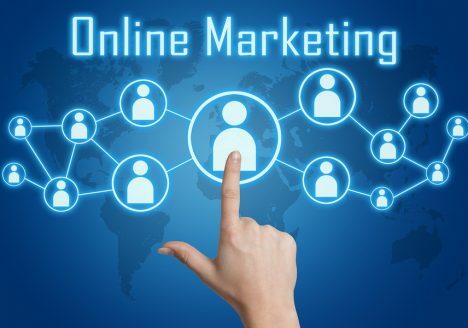 If you want to increase the effectiveness of your online marketing, continue reading to discover a wide variety of marketing tips, which will help your online business thrive. If you fail to set a definite marketing budget, you won’t be able to make the best possible use of your marketing budget. As you may blow a large percentage of your business’ available funds on an ineffective form of online marketing. So make sure to sit down and create a budget for your business’ online marketing, which breaks down how much money you plan to spend on each area of your business’ marketing strategy. As an example, you may want to state how much money you are prepared to spend on social media adverts and how much money you are comfortable spending on commissioning a brand new website for your business. The reason why so many business owners choose to post on their businesses’ blogs and social media accounts at prescheduled, organized time slots, is that their followers will start to learn when their business’ posts and will be sure to check their business’ posts as a part of their daily schedule. Whereas if you post on your business’ social media accounts and blogs at random, unscheduled times of the day, your followers won’t have a rough posting schedule to check up on. Another reason why it’s a great idea to post at regular timeslots is that you can specifically target timeslots which have a high level of traffic. As then your posts are far likely to attract a high level of user engagement. So if you want your followers to like, comment and share your posts, it does pay to be thoughtful about your business’ posting schedule. If one of your marketing goals for your business is to successfully double the number of hits which your business’ website gets each month, it’s crucial to utilize popular SEO online marketing tips to your business’ advantage. As SEO techniques are unbeatable when it comes to increasing your business’ search engine rankings, which will, in turn, direct hundreds of thousands or even millions of extra potential customers to your business’ website. While you may be tempted to hire an inexpensive web designer to create a new website for your business, if you do so you’ll likely miss out on hundreds of thousands of dollars of potential revenue as if new customers visit your website and are disappointed by what they see, they’ll be unlikely to follow through and make a purchase. If one of your marketing campaigns doesn’t work, be flexible enough to make quick changes. It’s definitely well worth using all five online marketing tips listed above to ensure that your business is able to market itself efficiently and effectively. My name is Kyle and I’m the blogger behind Rhino SEO. I discuss all kinds of topics, but my main focus and topic of choice is business and marketing. I am extremely good with computers, understanding how others think, and have previous knowledge in advertising, so these kinds of topics come easily to me.